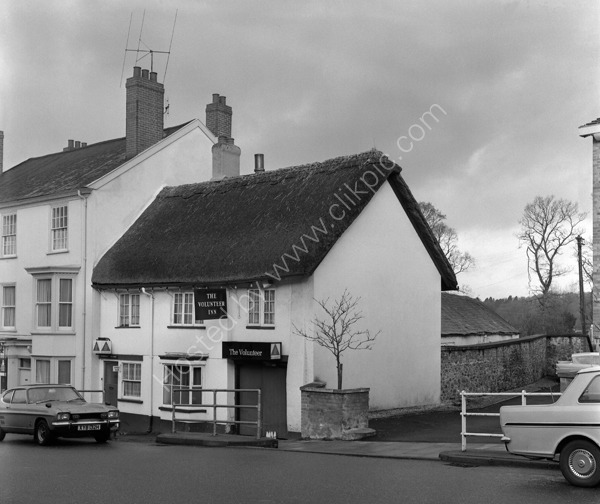 The Volunteer Inn, 177 High Street, Honiton in about 1974. Licensees plate says L T Dickenson. There is milk left for him outside the cellar doors. The car parked outside is XYB 132H. For commercial use of this photo please visit www.alamy.com and search for AGM288 but for a one off print, please see below.